Having a mobile friendly website might be one of those items that’s been on your to-do list, but was never a real priority and kept getting pushed back for more “important” tasks. You might regularly brush aside mobile recommendations from your web designer or digital marketing agency, or feel that mobile isn’t an important facet for your online business. Well, if Google is to be believed, this procrastination could end up hurting you on April 21st, when mobile friendliness is officially introduced as a new organic ranking signal. On Thursday, February 26th, 2015 Google posted a blog article entitled “Finding more mobile-friendly search results”. You can read the complete announcement post here. One of the first things that stands out is the use of the word “significant” in the announcement. When we think of significant ranking algorithm changes we tend to think of major shake ups like Panda, Penguin, Hummingbird, or for us old time SEO’ers the Jagger update. These were all updates that significantly altered search results for a substantial percentage of websites. For some businesses these updates had little to no impact on their Google organic search rankings. Others, however, lost a large percentage of their organic exposure and online business. We certainly consider them to be significant. Another item to note is that this update should only affect mobile searches, as they announcement states, “users will find it easier to get relevant, high quality search results that are optimized for their devices.” This means that your site should continue to perform the same on searches done from a desktop computer or a tablet, but could lose significant exposure when it comes to Google searches done on a mobile device. It is also worth noting that providing an exact date for an algorithm update is something Google hasn’t typically done in the past. Due to the potential impact, they could be doing this in order to give businesses enough warning about this far reaching update? In a nutshell, Google’s goal (besides making lots and lots of money for their shareholders) is to provide users with the best, most diversified search results possible. Yet as more and more users are moving away from desktops being their primary way to go online, and are turning to mobile devices, the best results for a desktop user may actually provide a terrible user experience on mobile. The update is an effort to jump start the conversion to mobile friendly websites in order to provide mobile users with results that provide them with a good mobile experience. All you have to do is plug in your URL and Google will let you know if they consider your site to be mobile friendly or not. 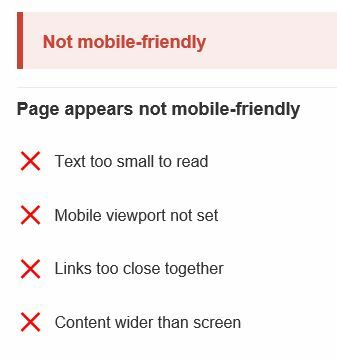 If your site is not mobile friendly they will provide a list of the reasons why it is not considered to be. We recommend testing more than one page, as this update is going to be done on a page by page basis, not site wide. So Google doesn’t think you play well with mobile devices, eh? Well, obviously this is something you should address. But before rushing through a haphazard site update in order to beat the April 21st update, you might want to determine how much of your traffic could be potentially impacted by this update. The best way to do this is to log into Google Analytics (if you don’t have analytics installed on your site, then being mobile friendly shouldn’t be your biggest concern), click on the Audience link on the right hand side navigation and then on the Mobile / Overview link. You will then be able to see what percentage of your current traffic is coming from mobile devices, tablets and desktops. Not every industry generates mobile visitors, so if only a small percentage of your current organic traffic is mobile, then you can safely weather the update as you work towards getting your site mobile friendly. If you currently see a substantial percentage of visitors coming to your site from mobile, then time is of the essence as this update could have a significant impact on your online business. In no way are we saying that this won’t be a “significant update” as all signs point to it being one. 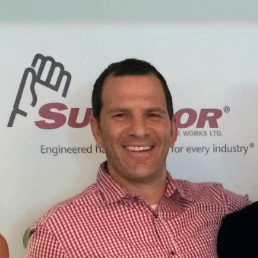 However some of our SEO colleagues have expressed skepticism and rightfully so. We’ve all been burned by Google in the past regarding things like Google Authorship and how having a secure https site was supposed to improve your organic rankings. So while you should expect this update to significantly impact non-mobile sites, the impact could be more minimal than initially forecasted. 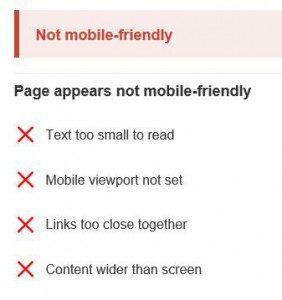 Even if this updated doesn’t have the significant impact Google is claiming, or only a small percentage of your traffic is currently coming to your site from mobile users, this doesn’t mean you should continue to ignore mobile. Instead, this should serve as your wakeup call; 2015 is on the line and wants you to finally embrace mobile. As 2014 marked the first time that the number of mobile users surpassed desktop users, mobile needs to be part of the ongoing discussion when it comes to digital marketing. As mobile continues to grow you will need to ensure that you are providing a great user experience regardless of what type of device your potential customer is coming in on. So don’t just be ready for April 21st, 2015, be ready for the future of digital marketing. I”m biased but I love the countdown clock and the testing tool! So as not to be one of those “do as I say, not as I do” types, WebRanking.com is now Mobile-Friendly!